Founder of Proyecto Titi, Anne Savage, stands in what was once dry tropical forest--habitat for Cotton-top tamarins. Now it's a pasture for cattle. 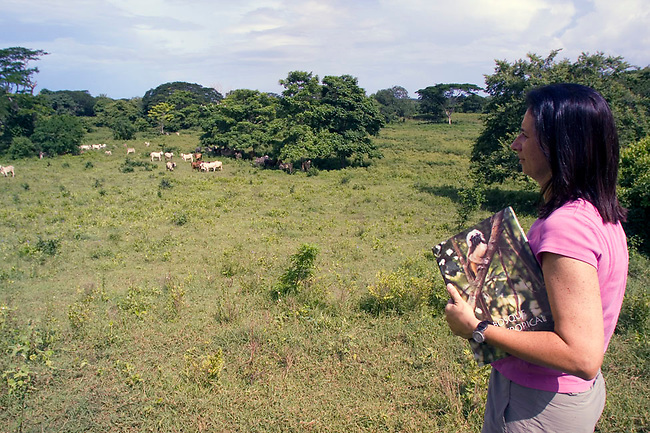 Anne is holding a picture of a tamarin-symbolic of the only way to see the tamarin in the future if Colombian forests are left unprotected.